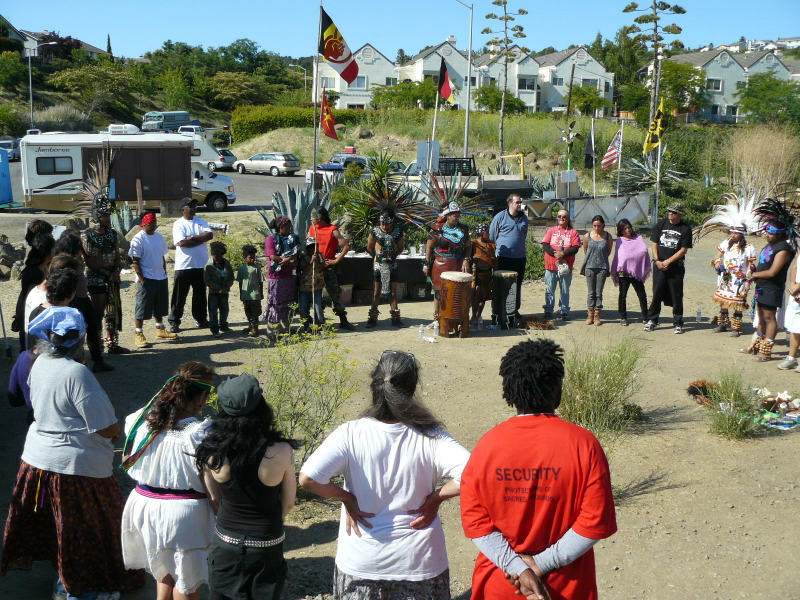 The Committee to Protect Glen Cove has announced a major victory in the 98-day struggle to protect the sacred grounds of Sogorea Te/Glen Cove in Vallejo, California. According to a press release issued earlier today, the Yocha Dehe and Cortina tribes have established a settlement agreement with the City of Vallejo and the Greater Vallejo Recreation District (GVRD). The agreement, which was signed on July 19, guarantees that both tribes will have legal oversight in any future activities taking place within the 15-acre site. The welcomed agreement brings an end to the widely contested plan to construct a restroom facility and relocates a “downsized” version of the parking lot to an area that contains no human remains or cultural remnants. After 98 days and nights of a continuous prayer vigil, the Committee to Protect Glen Cove is pleased to announce a victory in the struggle to protect the sacred grounds of Sogorea Te/Glen Cove.